As a contractor, your main goal is to run a profitable business. That means keeping your customers happy and taking control of expenses. There are several ways to accomplish these goals, and one of them is to choose the right suppliers for all of your raw materials. Once you make the decision to go with natural stone window sills and saddles, consider StonExchange for all of your basic and custom materials. Your customers will appreciate the quality and you’ll benefit from the savings. Here are just a few of the ways that we can help you keep your customers happy while maintaining lower costs and stronger profit margins. Experienced contractors know that the best advertising is word of mouth because it also comes with a personal referral. When a customer is referred to you by a friend, they may be looking for a specific marble finish that they saw in their friend’s home. In order to secure the contract, you need to be able to provide them with the same marble or something they like better. 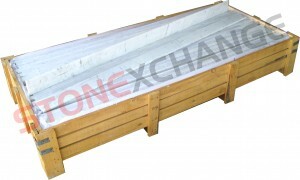 Here at StonExchange, we own our overseas quarries and the manufacturing centers. It allows us to provide you with a stable inventory that doesn’t change much through the years. Even if the job that brought you a referral was done several years ago, we probably still have the same stones and options in stock today. Additionally, you’ll be ready to assist existing customers when they decide it’s time to expand their home and want the sills or thresholds throughout the property to match. Not only does this make for happy customers, but it also simplifies your inventory maintenance and ordering. Rather than wasting man-hours calling around for a product, you can simply reach out to us and have a standing order filled. It’s frustrating to have a problem with products and be stuck in the middle between a supplier and a retailer. We never pass the buck on to another party because we maintain tight quality control standards from the moment rocks are selected for extraction. We take great care when mining stones to prevent damage, and our manufacturers are highly skilled at creating the desired slabs and tiles while maintaining excellent structural integrity. When it’s time to ship goods to our Miami distribution center, your personal warehouse or a customer’s worksite, we take great care with the packaging to minimize damage during shipment. What this means for you is that the products you receive in stock will be of a higher quality and more resistant to cracking or chipping with standard use. You’ll save money during installation and your customers will save money in the future on repairs. This all leads to lower expenses now and greater customer satisfaction in the long run. As a wholesaler, we don’t work with the general public. We focus on architects, contractors and dealers. By selling in bulk, we’re able to provide you with more attractive pricing. We also keep our prices low by controlling our internal costs through every step of the excavation, manufacturing, packaging, shipping, and selling processes. Those low prices are passed on to our customers so that they can also save money. We know that our customers will only continue to trust us if we’re providing them with great prices, quality products, and the excellent service they deserve. We take that knowledge to heart and strive to provide you with a positive experience every time you call us. Low prices are only part of the overall package that you’re looking for, and you can count on our experienced customer service agents to also provide you with accurate orders, prompt shipments and friendly service. We appreciate each and every customer, and we’ll work hard to earn your business over again with every transaction. In addition to offering quality products and great prices, we also have a great inventory selection. We offer window sills and saddles in a range of sizes and colors. This allows you to customize your orders to suit different projects, or you can place regular orders to maintain your own on-site inventory of different items. If you’re not sure which products best suit your needs, you can count on our friendly professionals to help you choose the right ones. If we don’t have the perfect items in stock, then we’ll help you place a custom order. These orders take a little longer to fill, but you won’t have to make any sacrifices in terms of quality. That’s because custom orders are still filled through our private quarries and regular manufacturing centers. There are minimum purchasing requirements in place, but our knowledgeable staff is happy to help you review that information. Our distribution center is located in Miami, but our service extends well beyond the southern shores of Florida. We routinely ship products throughout the United States and to the Caribbean. We’ve contracted with some of the top shipping companies in the nation, so you can count on us for timely service. Orders are filled as quickly as possible so that you won’t have to wait long for your product to arrive. We’re happy to deliver to your warehouse or stores if you’re trying to maintain inventory levels, but we also deliver to your construction sites for convenience. Rather than waiting weeks or even months for tiles to come in from other suppliers, you can count on us for timely service and delivery. Our shipping prices are quite reasonable, and they do become more cost-effective with larger containers. This is yet another way that we’ll help you save money on costs so that you can become a more profitable contractor. If it’s time to find a new supplier for your marble window sills and thresholds, consider StonExchange. We take great pride in our quality merchandise and excellent prices, and you’re sure to appreciate our great customer service. We’ll work hard to see that your needs are met, and we hope that you’ll trust us for all your natural stone needs in the future. Contact us today to review our available inventory and see how we can help you save money and time when purchasing window sills and thresholds.